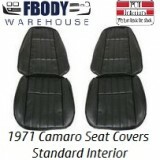 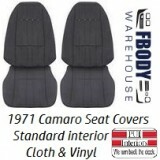 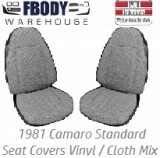 New set of lower seat hinge covers for your 71-81 models. 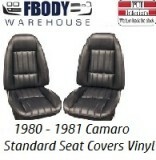 Right hand and left hand set, does one seat. Black in color, and can easily be dyed or painted if desired. 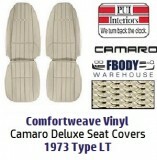 Includes installation clips. NOT FOR USE ON 73-81 Firebirds with deluxe interior. 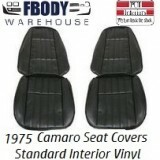 • NOT FOR USE ON 73-81 Firebirds with deluxe interior.